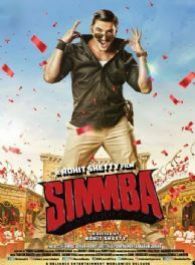 Simmba is a story of a corrupt cop Sangram Bhalerao aka Simmba who later changes his heart when one of his own suffers due to a local gangster Durva Ranade. In the film, Ranveer Singh plays the main lead along with Sara Ali Khan. Ajay Devgn has a special cameo in the film. Simmba starring Ranveer Singh and Sara Ali Khan in the lead roles. Here's how Nick CHILLS on Vacation with Priyanka!